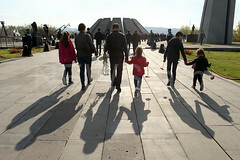 All Diaspora Armenians were ready to return to Armenia after the revolution, but now there is no movement. This is what leader of the Prosperous Armenia Party Gagik Tsarukyan told journalists at the National Assembly on 16 April. “We all know that they were ready to come, but when they saw that there are no jobs and opportunities, they stopped,” Tsarukyan said. He also complained about the optimization of ministries. “We have to engage 12 million Diaspora Armenians and implement programs together. 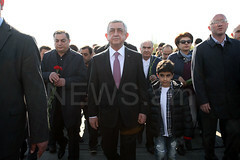 I have invited the ruling political parties of the EurAzEs countries. The key objective is to come together and work on solving economic issues and easing the political tension. Armenia needs to take advantage of all the opportunities that the Eurasian Economic Union has to offer. We still haven’t been able to take advantage of those opportunities,” the political party leader said.